Jump roping is a proven exercise to quickly improve cardio health while increasing speed, agility and endurance. It also effectively tones the overall body. 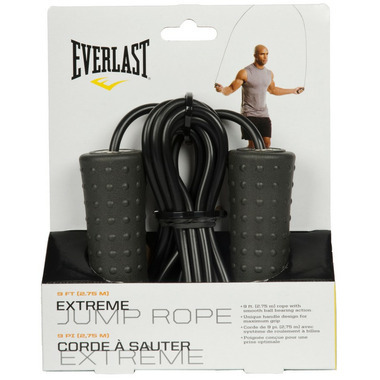 The Everlast Extreme Jump Rope has an anti-slip texture and ball bearing action for comfortable and smooth exercising. Works as expected- thereâ€™s ballbearings in the handles so itâ€™s very smooth.